Players play with their hands revealed. 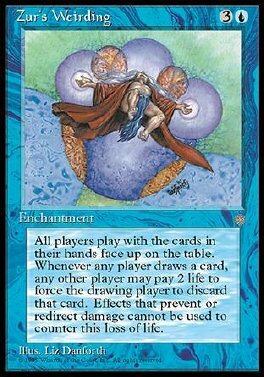 If a player would draw a card, he or she reveals it instead. Then any other player may pay 2 life. If a player does, put that card into its owner's graveyard. Otherwise, that player draws a card.